‘Rush built their following the right way. No hype, no b@llsh!t, they did it from the ground up. 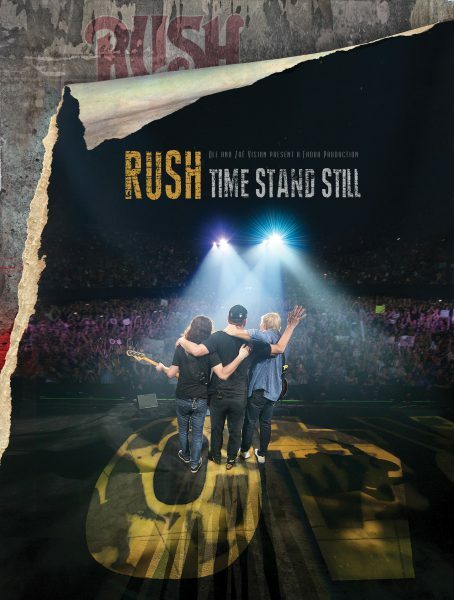 Their legacy is incredible and their influence undeniable.’ – Dave Grohl This feature-length documentary film chronicles the final major tour for legendary rock band Rush. It is an intimate view ‘under the hood’ of a historic moment from the perspective of the band, their fans, crew, and management. Featuring interviews with the band throughout their sold-out 2015 40th Anniversary tour, the film also shows rarely seen backstage footage capturing the final moments of life on the road. Highlighted as well is the impact on the band’s fans and the world that has been built around the beloved Canadian trio. This is the final touring chapter of a band that has meant so much to so many fans around the world. With narration by Paul Rudd. Running time: 1 hour 37 minutes of documentary footage with an additional 67 minutes of never-before-released bonus content. ‘It’s true that Rush doesn’t mean today what it did in ’76 or even ’96. It may mean more.’ – Rolling Stone Please note, Blu-Ray/DVD versions of this title have the exact same content.